Lavendale Farm is situated 15K south of York in Western Australia on the banks of the Avon River. The property is approximately 64ha of gently sloping land lying between Great Southern Highway and the river. Lavendale Farm is a place to come and relax under the wide verandas, watch the animals graze and walk among the vast array of native Australian trees which have been planted as shelter belts and hosts in the sandalwood plantation.We have an adventure playground and an activity room with table tennis, Foosball and a large drawing board. We have 3 x 2 bedroom stand alone cottages. Each is licensed for 5 people (including children). Each has a difference theme and layout, but all have well set up kitchens, living areas, full bathrooms with baths and showers and their own gas BBQ and outdoor setting. Close to these cottages are 2 x one bedroom cottages. These are small and cosy, and designed for just 2 people. We have listed them together as they are very similar in layout and decor. Although tiny, they still have full kitchens and living areas. A small bedroom with a queen bed and an ensuite bathroom. Again, they have their own small gas BBQs and outdoor settings. For larger and for extended families we have a combination of two units. One has 3 bedrooms and the other has 2. Sitting between these two units is a large open room which can be accesses from wither unit when rented together. Separately they have their own kitchens and living areas and bathrooms, plus outdoor patios, Gas BBQs and outdoor setting. 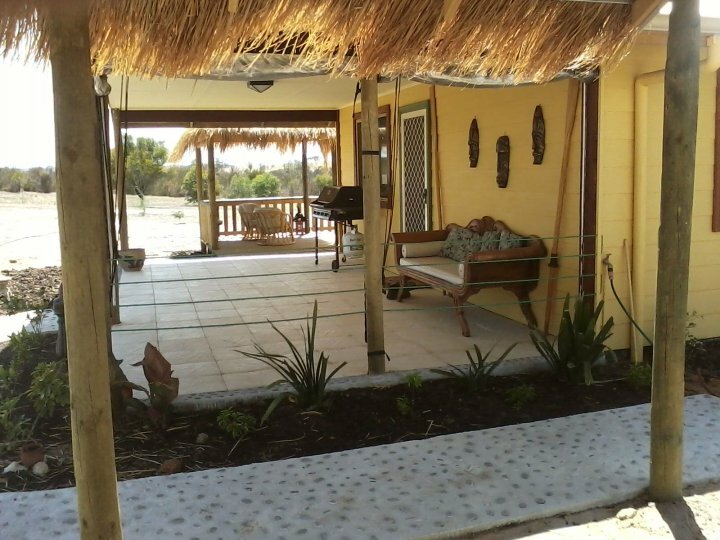 "The Lodge" has 3 bedrooms and is licensed for 8 people. 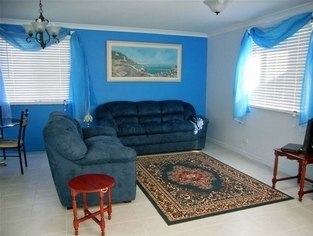 "Kirribilli" has 2 bedrooms and is licensed for 6 people. There is one more group of units referred to as "The Farmhouse Complex". There is a 3 bedroom unit called "The Farmhouse" (licensed for 8 people) and a 1 bedroom unit called "The Quarters" (licensed for 3 people). 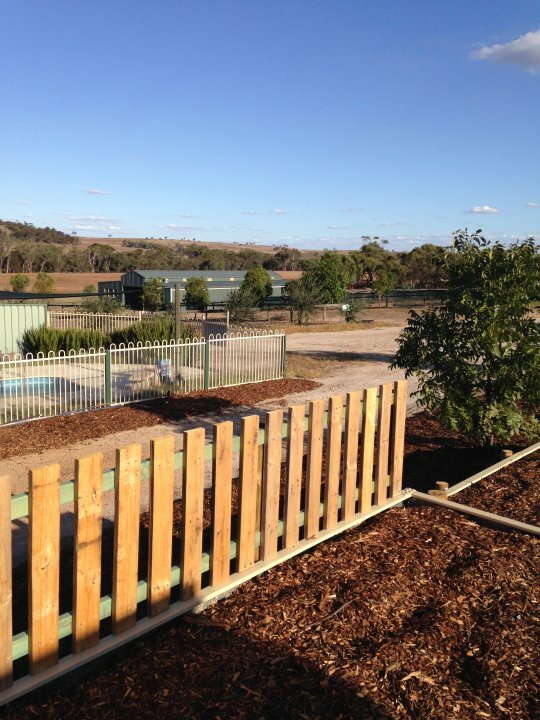 These 2 units sit high on the property and are either side of our function room which is used for tour groups and corporate events. where nature is enhanced and animals are appreciated. 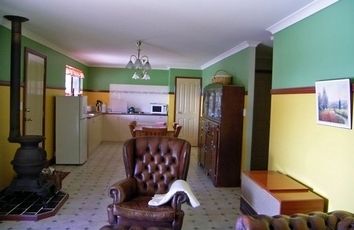 Country style 2 bedroom cottage with plenty of room for 5 people.Well set up kitchen with gas stove top. Large open living area, full bathroom with separate toilet. Queen, double and single bed. Enclosed fire in winter A/C in summer. Large veranda with gas BBQ and outdoor setting. Bush garden. Tropical island themed 2 bedroom cottage. Well setup kitchen with gas stove top. Full bathroom and separate toilet. Queen size 4 poster bed plus double and single. Patio with BBQ. Decking over fish pond. Close to the playground. Wood heater in winter, air-conditioning in summer. Modern 2 bedroom unit with sleeping for 6 people. Next to The Lodge but with separate parking, entrance and patio with BBQ and outdoor setting. Reverse cycle Air-conditioning. Modern bathroom with large shower. Sleek and roomy. Cot, high chair and baby bath available. King and 4 singles or 6 singles. Small but spacious 1 bedroom cottages. Bedroom has queen bed and ensuite. 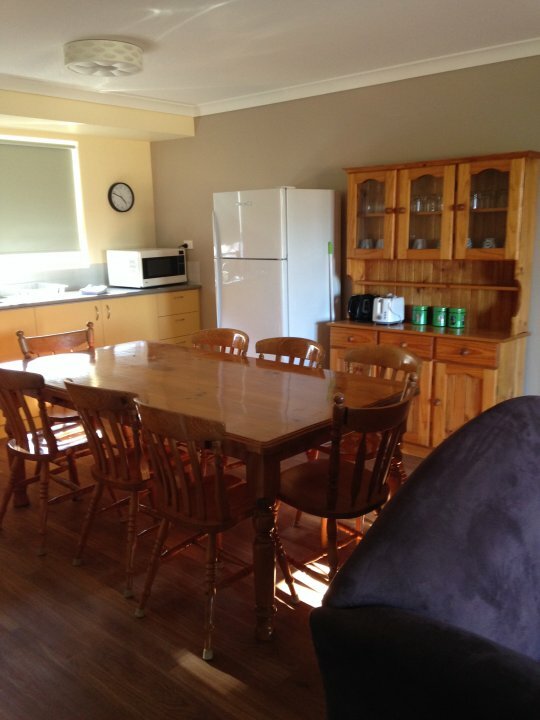 Comfortable lounge dining area and a well set up kitchen including full cooker. Each has its own outdoor area and BBQ. Beautiful views of the country. Wood fire in winter and evap- air conditioning during summer. Great for romantic getaways. Not set up for children. 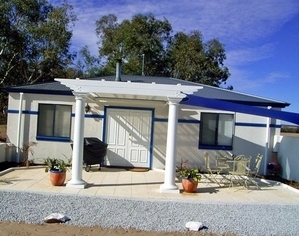 New 3 bedroom self contained unit with sleeping for 8 people. One bedroom has a queen and a single bed, one has a double and a single bed and the other has a queen bed. 1 bathroom but 2 toilets, large kitchen and living area. 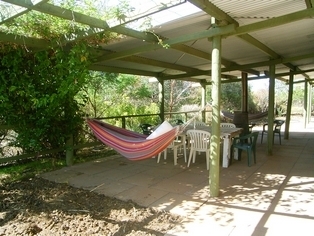 Long Veranda with lovely country views. This unit has reverse cycle Air-con for heating and cooling. Next to the new Community Room and opposite Bali Hai Bungalow. Great for extended families with a mix of adults and children. 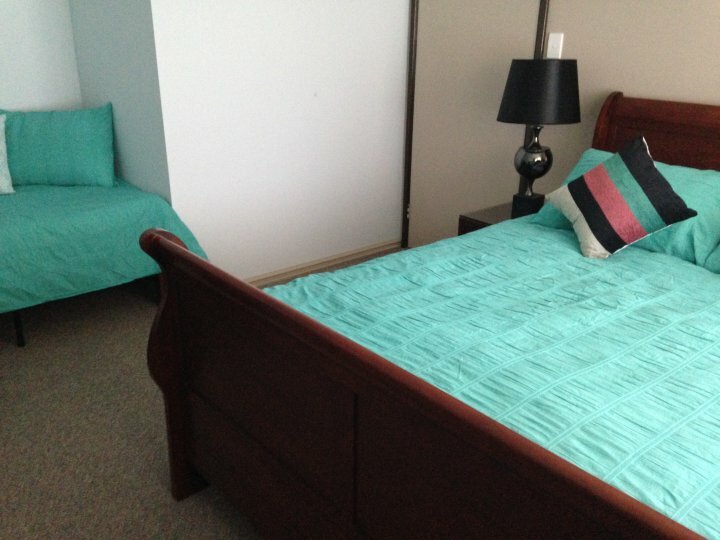 Large 3 bedroom unit with sleeping for 8 people over 6 beds. Wheel chair accessible with appropriate bathroom fittings. Split A/C for heating and cooling. Large bedrooms. Full kitchen. One bathroom, but 2 toilets. Patio with BBQ and outdoor setting. Private garden. Combination of 2 units making 5 bedrooms, 2 kitchens, 2 lounges, 2 bathrooms and 3 toilets with a large common room between the two units. Great for large families and corporate groups. Separate carports and entrances for each unit. Wheelchair access to The Lodge. Large patios, 2 BBQs, plenty of outdoor seating. An additional fee may be charged if equipment is required for The Common Room. This lovely one bedroom unit is part of our Farmhouse complex. There is a king bed and a single in the bedroom, so room for a child and a port-a-cot. This unit has reverse cycle air-con for heating and cooling. 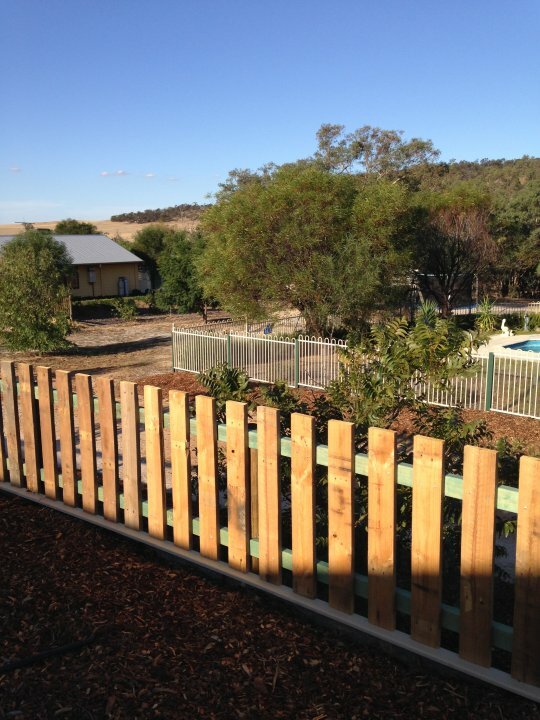 The veranda overlooks the farm and animals. Elegantly furnished and functional. King bed can split to make 3 single beds in total. 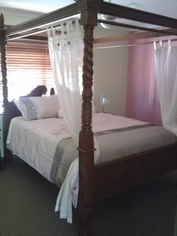 Large room in our Residence with full ensuite bathroom and private access from the veranda. The rate is for 2 adults. There is no provision for more than 2 people. Lounge chairs, small fridge, large windows and French doors. Cooked breakfast is included in the rate. No cooking facilities. 2 bedroom self contained cottage in a Mediterranean theme. Sleeps 5 over 4 beds. Queen bed and 3 singles. Patio, BBQ, outdoor setting. Close to the playground. Enclosed wood fire in winter, A/C in summer. There are 2 conference rooms available. One is the large dining room with seating for 50 people and a patio of equal size. 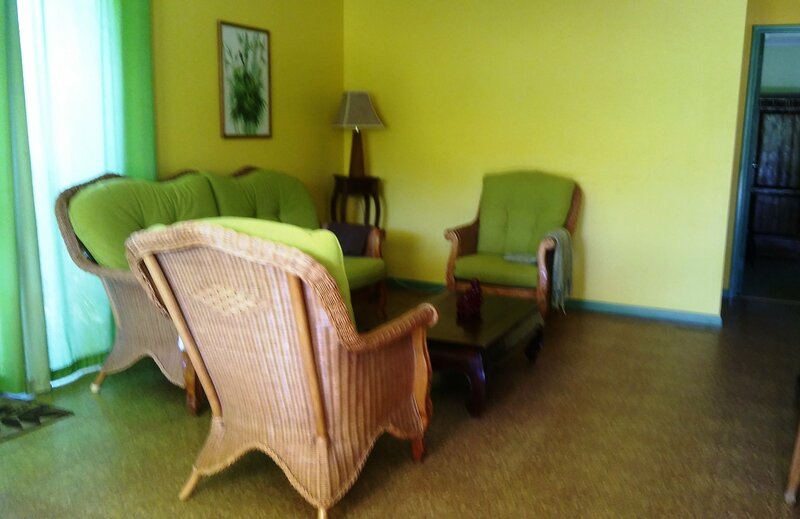 The other is great for smaller groups and is located between two of our units. We have a small commercial kitchen and can provide catering for Tour Groups and Corporate Events. Check-In 200pm. Please check in at the Residence on arrival. There will be an envelope with your Key, directions and a map to your cottage and important information. A Credit card swipe is required if paying by cash. If no credit card is available we require a $200.00 bond refundable after check-out. Our rates are for each cottage. There is a maximum number of people each cottage can accommodate. This number INCLUDES children and infants. We need to know the number of people in each cottage but it does not alter the rate. If more than the maximum number of people for the accommodation is exceeded, there will be a penalty charged to the guest credit card. 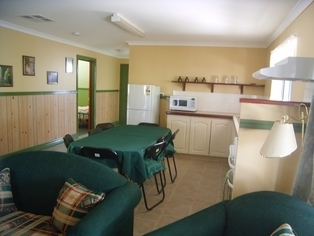 We have cots and high chairs available for all family cottages. Dogs are allowed in the cottages but not The Red Room or The Farmhouse and The Quarters. Owners of pets must adhere to our "Dog Policy' which we will send to you upon request. A surcharge will apply. Please check in at the Residence. There will be information to direct you to your cottage. Each has parking for at least 2 vehicles..
From York, travel 13k south on the main road to Beverley. Main entrance is 1Km past the BE20 marker. From Beverley, travel north to York. Main entrnance 1km past the Y15 marker. Lavendale Farm has plenty to do if you want to just relax close to "home". The river is a very peaceful place to walk along. It is completely natural and the only paths are made by kangaroos. In places it is hard going, but finding a nice place to sit on the bank is worthwhile. Always wear boots when walking in the bush. The sandalwood plantation is great to wander through and the animals will always appreciate a scratch behind to ear or a brushing if you are used to horses. In future there will be a swimming pool and childrens play ground. We have a games room with table tennis foosball and a drawing board and a sand pile and playground for the kids. Weather permitting we can have a camp fire in the evenings. We are still establishing gardens and other features. Lavendale Farm is an ongoing project, and we dont mind if you want to lend a hand with the weeding! York The historical town of York is 10 minutes from Lavendale Farm. Some of the more well known attractions are the Motor Museum The Old Gaol and Court House the Residency Museum The Mill gallery York Wines, Avon Walk Trail and Swinging Bridge. The historical village of Greenhills only 15 minutes drive away has a great pub and a well set up equestrian centre. 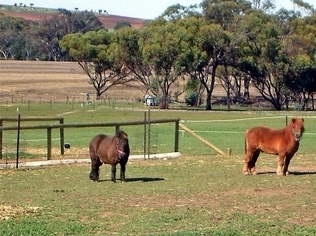 Beverley Less than 15 minutes away and offers the Avondale Discovery Farm, a must to see in the area. The Aeronautical Museum take a glider ride. The Dead Finish Museum has some very interesting pieces on early settlement in the area. Northam This is a major regional centre and only 30 minutes from Lavendale Farm. It has many shops and businesses. Also built on the Avon River it stages the beginning of the annual Avon Decent in August each year. Hot air Ballooning over the Avon Valley departs from the Northam Airfield.